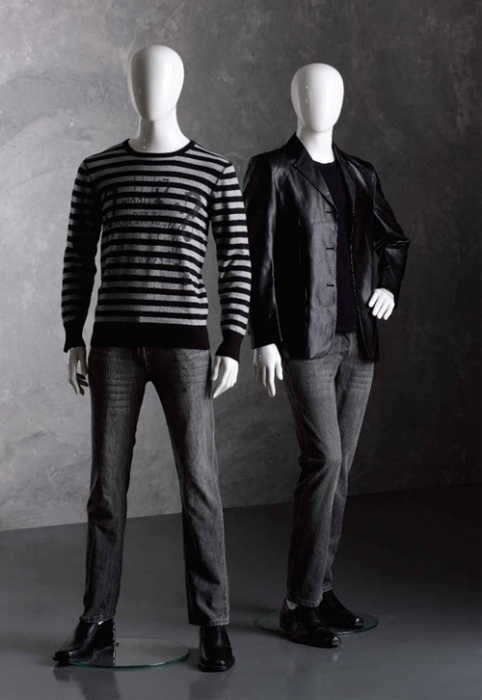 All mannequins are available in gloss white and gloss black. Supplied complete with safety glass base, setup kit, calf and foot fitting. Made to a high specification. Please allow 2 weeks for delivery. Produced from fibreglass. Suitable for retail window displays, this mannequin has an abstract head with no facial features - will not age due to old fashion hair styles. 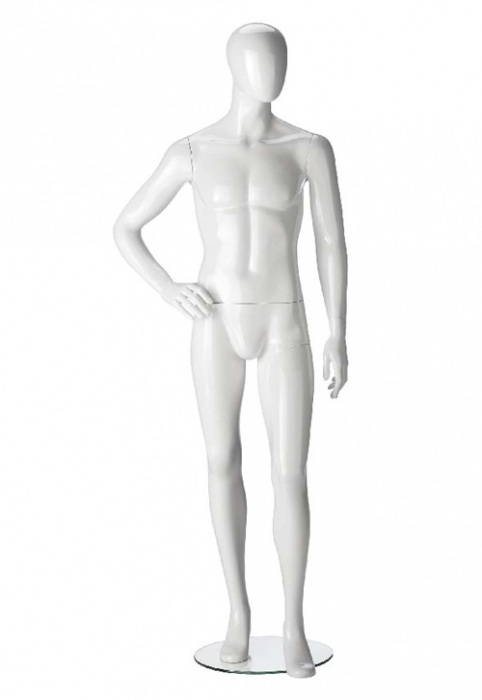 The dimensions of this gloss mannequin are; 190cm Tall, 91cm Chest, 74cm Waist. These can be sprayed in any colour you like please contact us if you are interested! These are extremely popular with our customers and look great when merchandising in shop window displays.